In the hope of helping to preserve vintage and historic illustration artwork from my own collection and in turn sharing it to inspire new artists and illustrators (and providing a reference for other fans of illustration), I am starting a new series here on Rosehaven Cottage Studio called "Illustration Inspiration". I received this book when I was 5 years old, and it was already a classic by the time I received it. The illustrations mesmerized me. I was transfixed by the artwork. 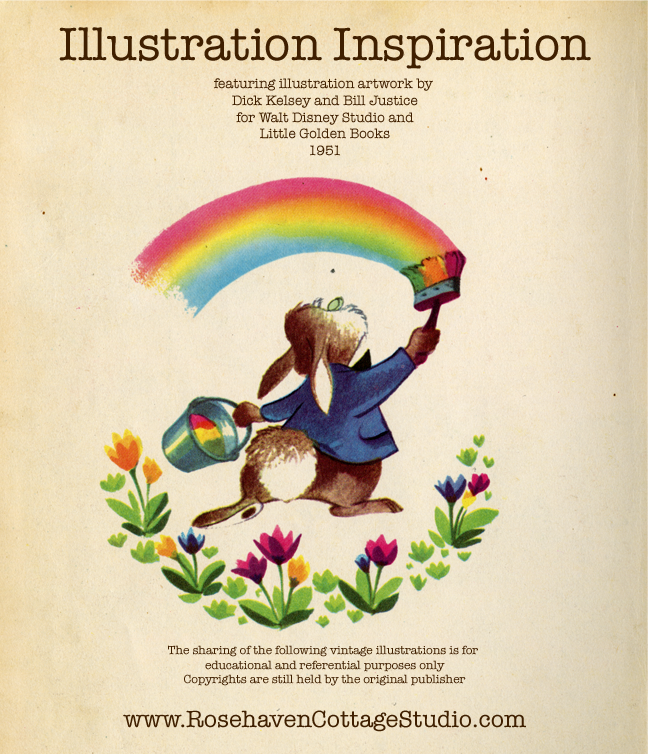 I can safely say that this book is largely responsible for making me yearn to be an artist when I grew up. It is probably why I hounded my preschool relentlessly asking her, "When are we going to paint with the easels?" 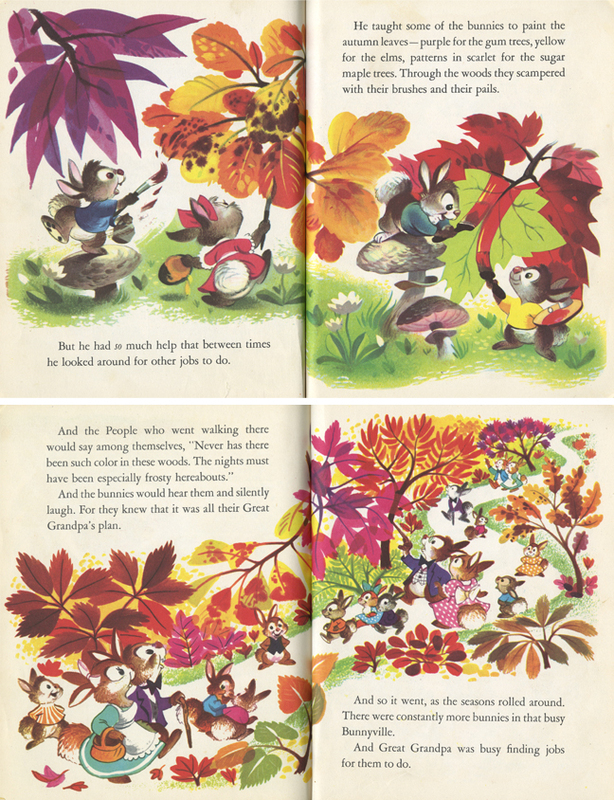 I also fell in love with seasonal color thanks to these beautiful illustrations and the storyline. To this day, I still think of the seasons and months of the year in terms of what color represent them best. 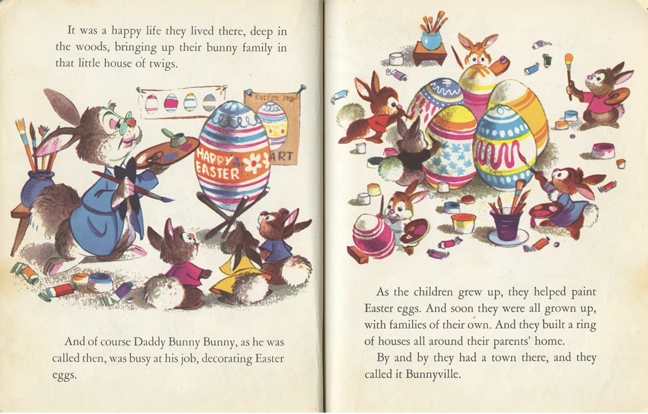 The funny thing is that I never saw (and have never seen) the film "Funny Little Bunnies" that the book is based upon. 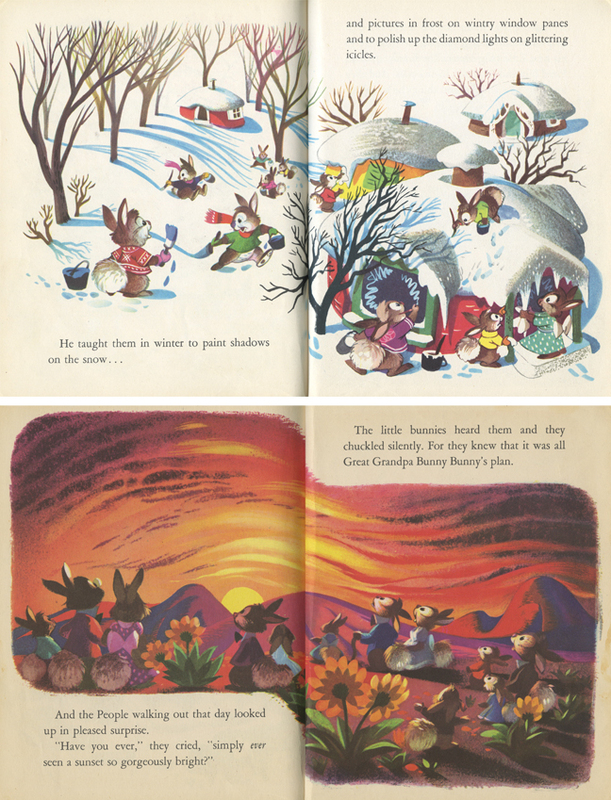 DISCLAIMER: The sharing of the above vintage illustrations is for educational and referential purposes only. Copyrights are most likely still held by the original publisher/artist. 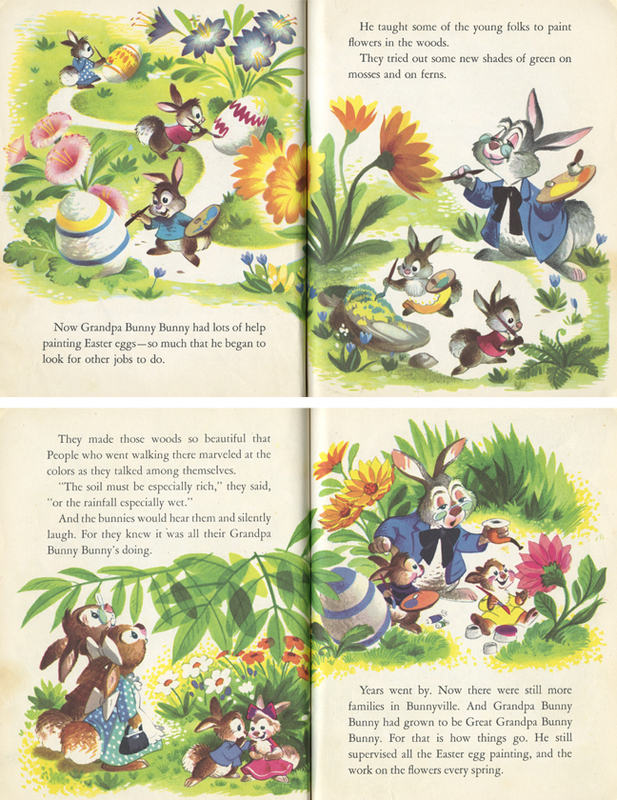 Use of these illustrations for reproduction and/or derivative works for resale may be illegal and an infringement of the original publisher/artist's copyrights. So, in other words, don't make things with these illustrations. It's illegal; it's wrong; and it could cost you a truckload of money when you get sued.